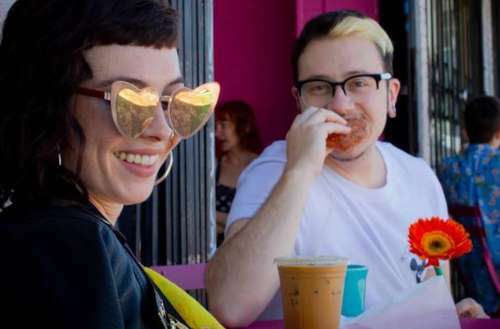 Cuties Coffee — an LGBTQ coffee shop in East Hollywood, Los Angeles — is struggling to stay open after just one year of business. It has launched a crowdfunding campaign to help raise funds for staying open, but if it shutters the LGBTQ community will lose a welcoming business that gave queer residents a place to be themselves and LGBTQ groups a free event space for meeting, organizing and putting on community gatherings. 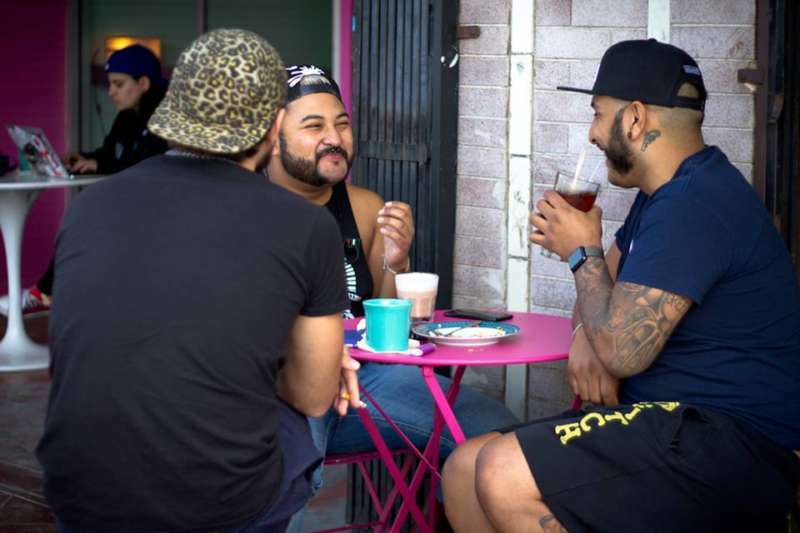 When it opened in July 2017 on Heliotrope Drive just above Melrose Avenue, Cuties Coffee owners Virginia Bauman and Iris Bainum-Houle envisioned an LGBTQ coffee shop that doubles as a casual hangout welcoming to the entire LGBTQ community, regardless of age or gender identity. 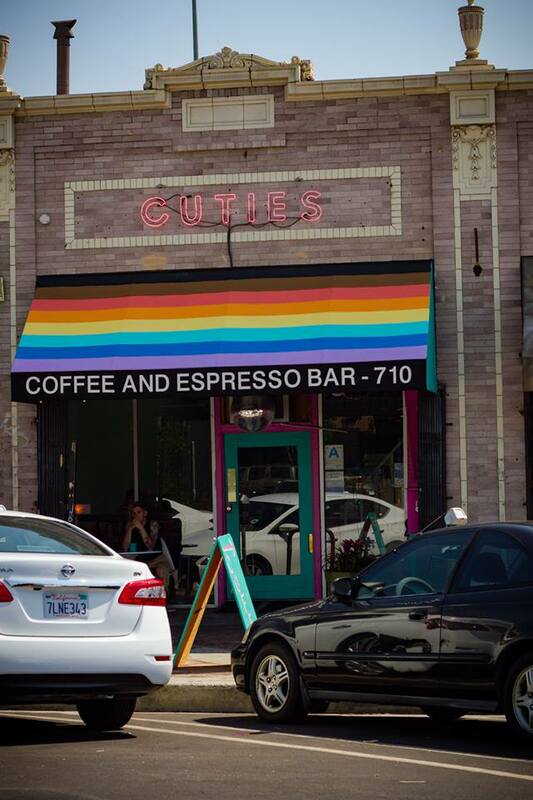 Cuties Coffee has a “rainbow awning, doorway disco ball and hot pink-and-teal interior,” plus a single stall, all-gender restroom accessible to people with disabilities. They welcome service and emotional support animals and also host events like meet-and-greets, self-care discussions, flirting events, film screenings, craft nights and more. In addition to serving coffee and pastries, Cuties Coffee sends out a “carefully curated” weekly newsletter of local LGBTQ events. The shop’s Facebook events welcome people of all ages, tell people to “dress in whatever helps you feel your best” and stress how hate speech, micro-aggressions and body shaming aren’t acceptable. It’s rare to find local LGBTQ community spaces, particularly ones that aren’t focused entirely on alcohol, don’t cater exclusively to gay men and adults and that don’t charge for events. 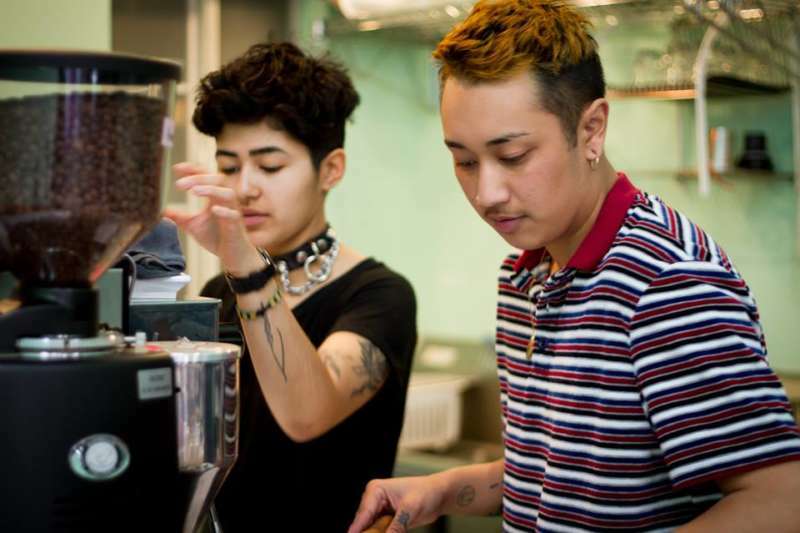 In short, if Cuties Coffee goes under, the community won’t only lose an LGBTQ coffee shop, it’ll lose a rare space for commonly excluded parts of the queer community, giving them even fewer places to go. Cuties Coffee has launched a Patreon campaign to help raise the $12,000 per month to continue throwing events and paying its six employees. 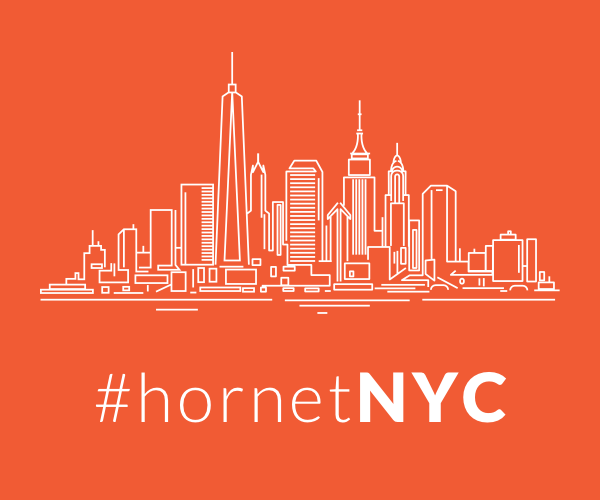 Thus far it has only raised $4,682, but in exchange for monthly pledges donors can get coffee mugs, a place on the coffee shop’s Wall of Fame and even one-on-one donut making classes. 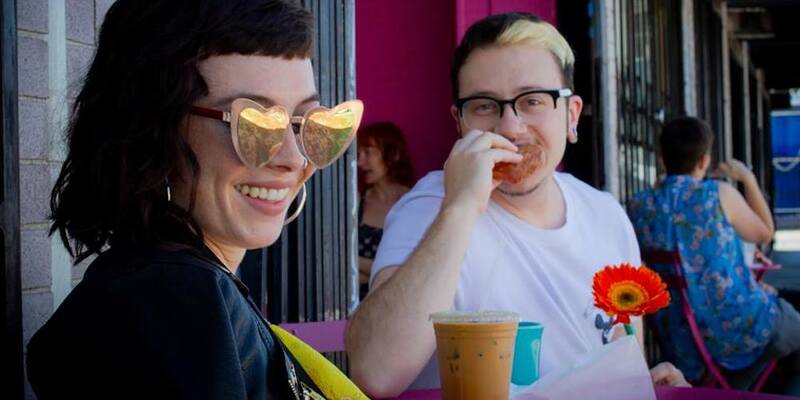 Have you ever been to Cuties Coffee, L.A.’s LGBTQ coffee shop?